Okay if anyone thinks there should be some sort of change, something you think would work better, please leave comments. I was playing pokemon Red today and thought I would just post these two teams for you guys and gals, keep in mind they are meant for the Elite for, and trainers in-game, not online battling so they wouldn't work as well online. You will want to raise your levels to about 50-60 depending on your patience, though when facing them on for the second time (after they level up 12 levels) I would go in at about 65-70. Arcanine can be switched for Charizard if you'd preffer to use the power house, he has more power and over all a faster killer but with Arcanines Reflect, it can really help in those desperate situations, or if you just want to be safe about things. For Charizard users instead, here is what I would suggest. Golem can be switched for Rhydon for more attack and HP, using exactly the same moves as the Golem setup apart from Explosion. Now, for Fire Red and Leaf Green, you can EV train your pokemon and pick thier Natures, though as you're only playing for the E4 win and game completion, there isn't much point unless you have alot of time and are unconfident in the team. I still say that the team above is the best for Fire Red and Leaf Green bar a couple of attacks maybe, but that is up to you. 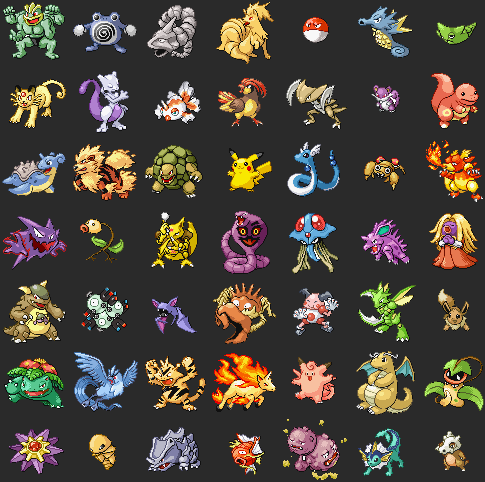 Here is the list of EV's and Natures I recommend for each pokemon. I might just try and build the perfect team for each game, just to help out the people who don't have wifi and don't play online anyway. If anyone has any questions about strategys or anything, please post here and I, and other members will get back to you. I don't really know, but I think it's good enough.